Smt. J. Jayalakshmi is an edupreneur by profession. He is one of the founder of Roland Educational and Charitable Trust. Teaching is an art. A teacher should act as a learner for the overall development of the student. Our teachers have been rendering commendable service in their respective fields. Our students have earned rare distinctions in different competitions in and outside our college. 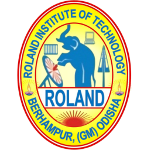 Quality has been the driving force of Roland and it will remain so in future. Technological education is to be blended with human touch in order to make it note worthy other wise it will be “not worthy”. The students should be disciplined and hard working. The serene and conducive atmosphere of the college is there to promote their spirit.